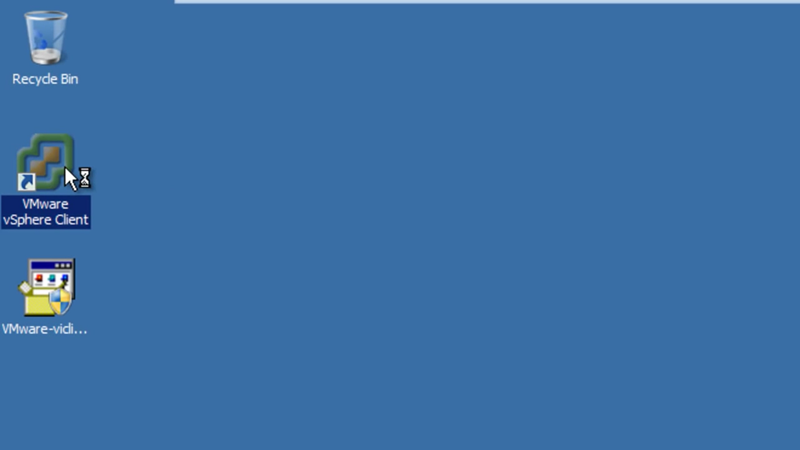 Note: If You do have above component already installed, You must remove and make free space of 400 MB on the drive that has the %temp% directory. 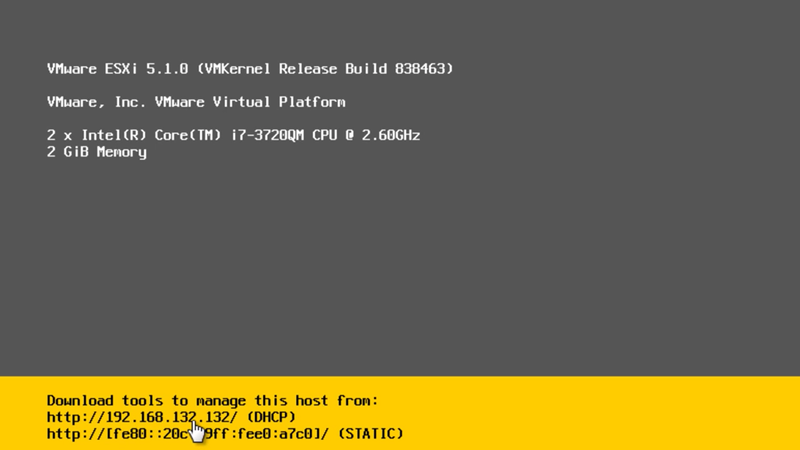 Step:1 Once Installation of Vmware ESXi on server, you notify the Host IP address that showed in following image to refer. 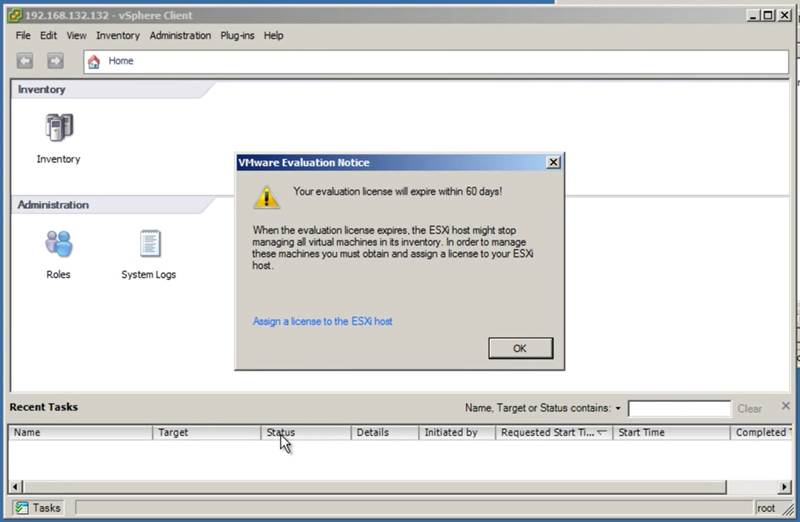 It says to "Download tools to manage this host from this IP"
Step:2 From Your Browser window, copy that DHCP IP address and paste it into your browser window. 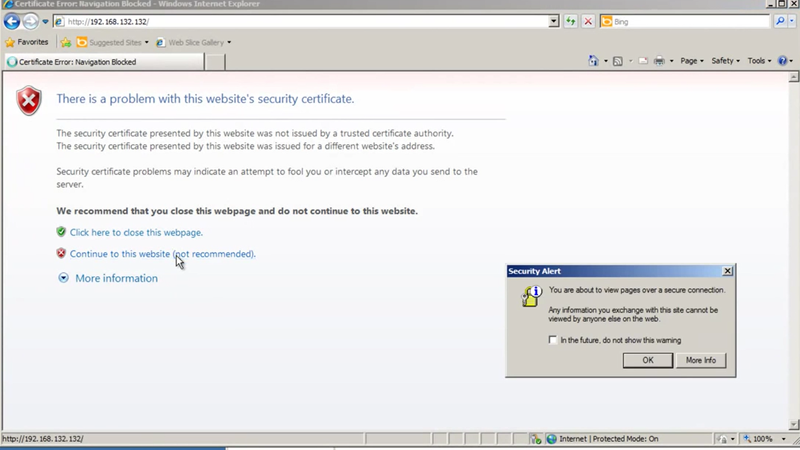 It warning you security issues, by simply hitting continue to proceed. 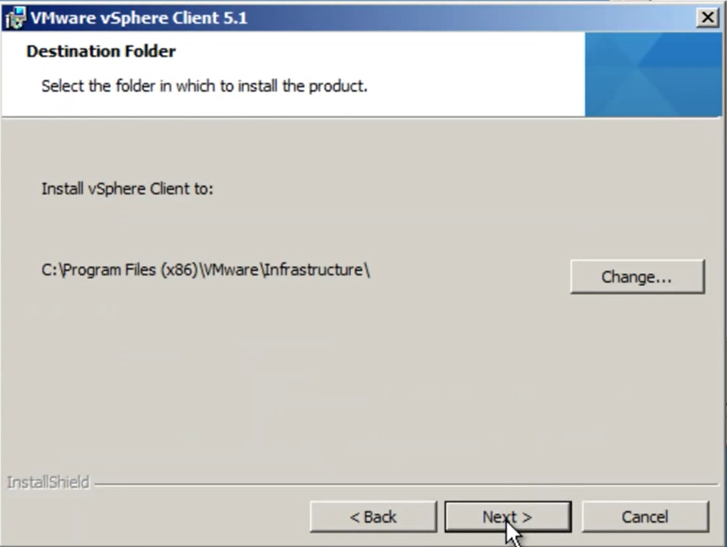 Step:3 Now Under the image as same as you get and then simply hitting download Vsphere Client to start download. 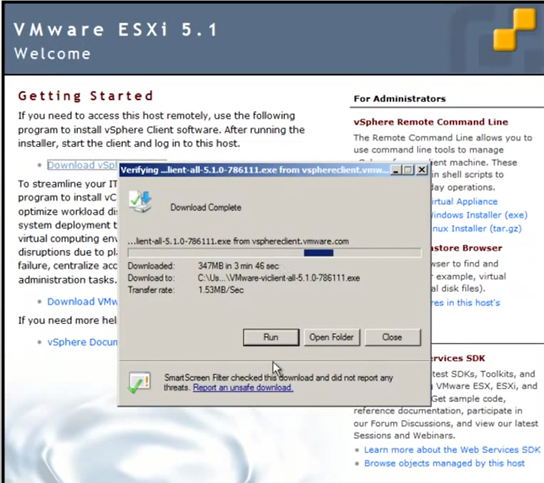 Step:4 Download begins started it takes few minutes that depends on your network speed. 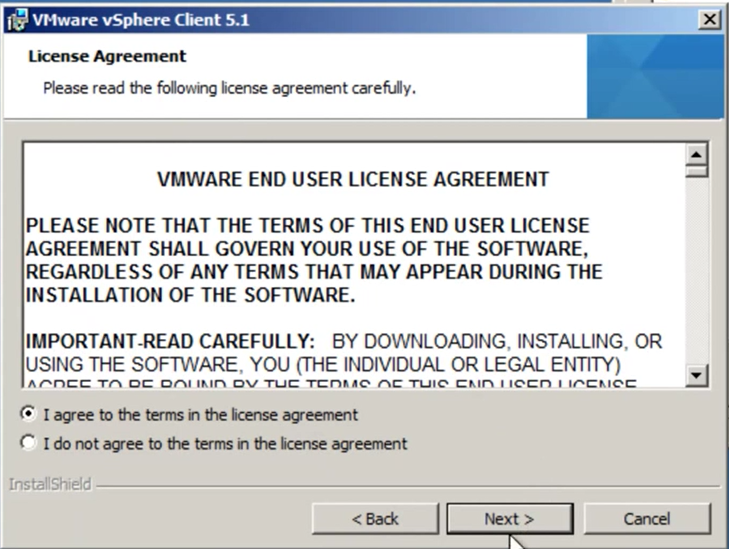 Step:5 Select Your language to install the Vmware Vsphere client. 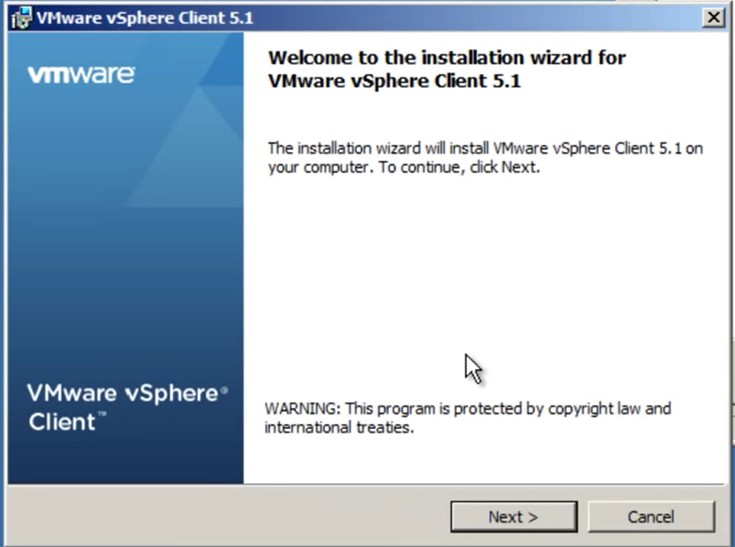 Step:6 Simply provide the next button to proceed with install vsphere Client. 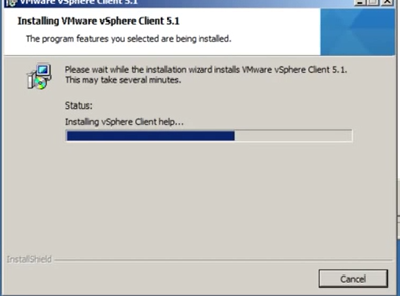 Step:9 Vsphere Client loading the necessary files and you need to wait for a while it finish. 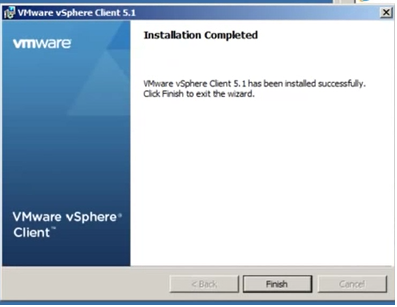 Step:10 Finally You Completed with Installation of Vmware Vsphere Client. 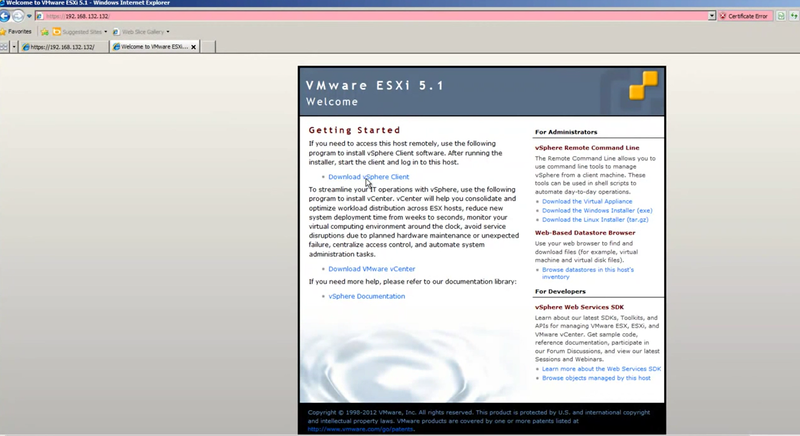 Step:11 Once following screen appears that you need to provide login details for using the Vmware ESXi. 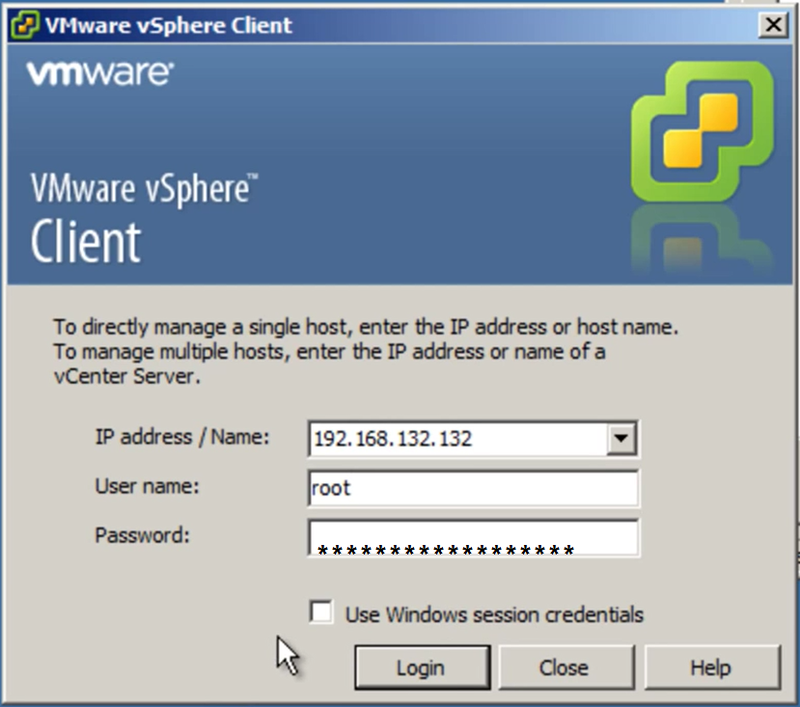 By default username is your "root", IP address is your ESXi server IP address and provide your password while install Vmware ESXi 5.1. 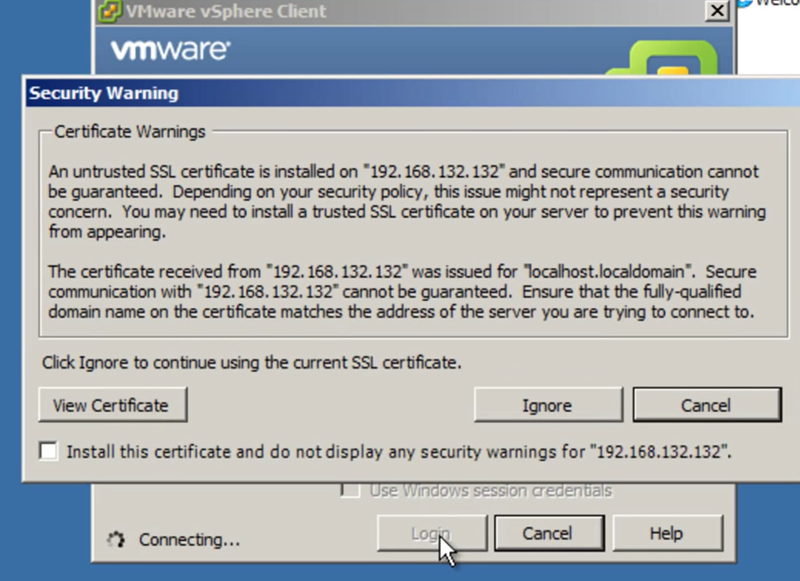 Step:12 It just a Security warning for vSphere Client and you just hitting Ignore button to proceed further. 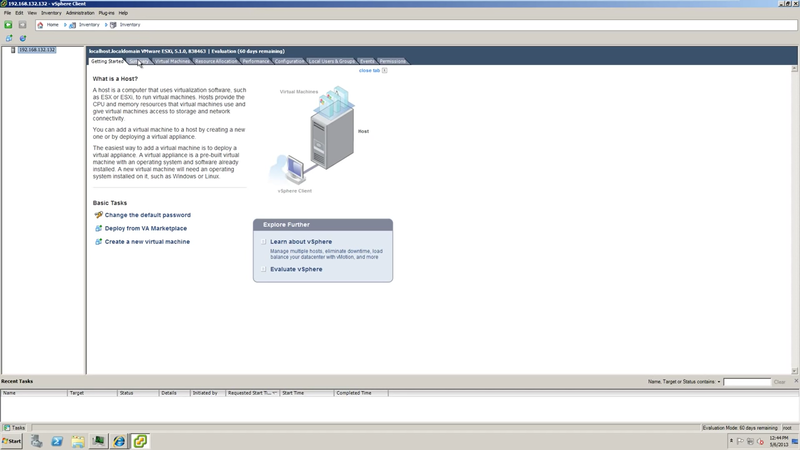 Step:14 Now You Connected with your ESXi and for verifying you can see at the left side of screen shows IP address that matches your ESXi so that its ensure It's Your's. 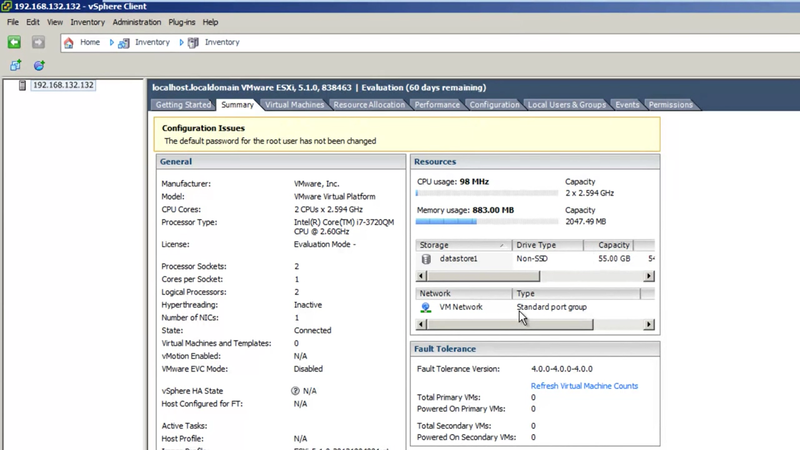 Step:15 Lot of option you can see like Summary it describes about internal memory and Datastore, virtual Machines it represent the no of virtual machine are running, Resource Available, Events, Configuration, Local User & Groups, Performance, Permissions.